Recently widowed Benjamin Mee (Matt Damon), still grieving his loss, starts life over by buying a large house with a zoo in the back (real estate agent Mr. Stevens: J.B. Smoove). 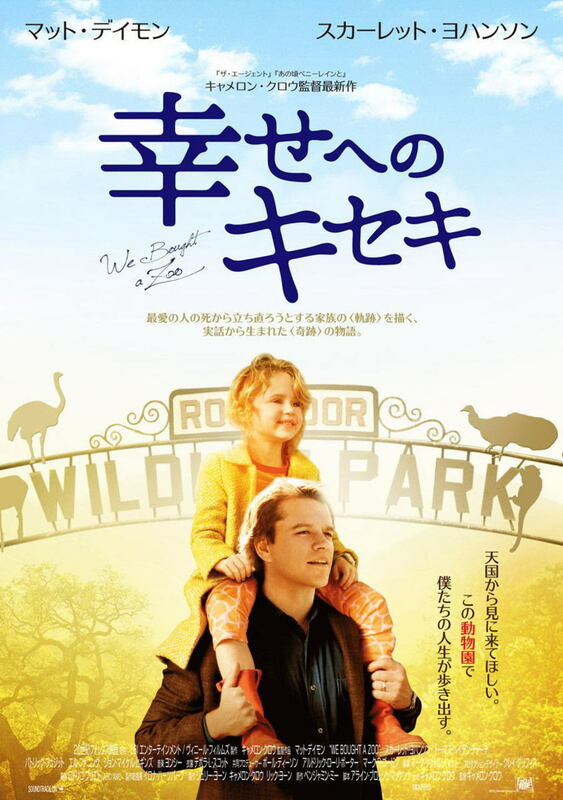 Although reluctant to take on a zoo and all of its animals, he decides to give it a try, delighting his 7-year-old daughter, Rosie (Maggie Elizabeth Jones), but causing his 14-year-old son, Dylan (Colin Ford), to unhappily retreat into his artwork. The zoo staff (Johnny Cicco, Alexia Barroso), led by head keeper, Kelly (Scarlett Johansson), help Benjamin to start renovating the zoo (carpenter: Angus Macfadyen). Benjamin soon runs into financial trouble, however, and the workers' morale sinks, fearing the property will be sold. Meanwhile, Dylan befriends a young girl named Lily (Elle Fanning), who has a huge crush on him that he is completely oblivious to. When she tells him that his family might be leaving, he is overjoyed, which hurts her feelings. Benjamin discovers that his late wife (Stephanie Szostak) has left him an investment account with instruction to use the money wisely while listening to his heart. While this lifts the zoo workers' morale, Dylan is unhappy about having to stay. He confronts his father, and a heated argument ensues. They reconcile the next morning, and Dylan admits he misses Lily. Benjamin gives his son advice on reconciling with her. Prior to the zoo's grand opening, the facility passes a very stringent inspection (John Michael Higgins), and Dylan, following his father's advice, confesses to Lily that he loves her. The worst rainstorm in over 100 years threatens to wash out the zoo's grand opening, and although the weather clears in time, they are disappointed when no visitors arrive. They soon discover that a fallen tree has blocked the access road, leaving visitors unsure if the zoo is open. Eventually, the zoo is well-received by the community. Kelly admits to Benjamin that she has a crush on him but, "can't get a handle on it." She kisses him, telling him maybe they can do that again on New Years. Benjamin replies by kissing her and telling her that he is looking forward to New Years. At the end, Benjamin takes his children to where he met their mother, explaining that it was the point in both of their lives where they became a "possibility". He takes them through that day's encounter, and they feel their mother is there with them.